In this guest blog, Ethan Cleary, Technology & Innovation Executive, Irish Farmers’ Association explains in detail the need for the development of a digital skills model for farmers that would enable them to learn the necessary skills to analyse, assess and implement the best actions, solutions and technologies for their farm business. 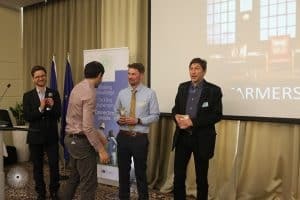 He also provides us with an insightful overview of the recent EIP-AGRI workshop on ‘Enabling Farmers for the Digital Age: the role of AKIS’, and its key role in identifying how all actors in the agricultural knowledge innovation system can support the understanding and use of digital technologies at farm level. Digital skills are becoming an essential element of modern farm management as an increasing amount of digital technologies focused on the agricultural sector come on the market. This is also reflected in the regulatory requirements farmers face, such as the EU Commission’s demand that all Basic Payment Scheme (BPS) application be completed online in 2018. In response, a digital skills model is required to be developed for farmers where they can learn the skills to quickly analyse, assess and implement the best actions, solutions and technologies for their farm business. This is an extremely challenging proposition in the short-to-medium term. As adopters of digital technologies, farmers are both forward-thinking and, at the same time, resistant to change – and for good reason; farmers get one attempt a year to grow a crop and make a profit. Whatever technology makes its way into the fields had better work. But often they revert to tried and tested handed down know-how. On top of the sector-specific challenges, digitalisation is having a major impact on the labour market and the type of skills needed in the rural economy and is redefining the role of farmers and agri-cooperatives. There has been an increase in the need of people with ICT and digital skills, but there is huge skills gap in the economy, and that is felt even more acutely in rural areas. As jobs and entire industries are changed through digital disruption, those affected should have the appropriate supports required to adapt. 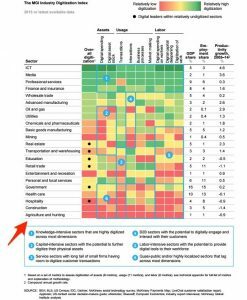 The digital skills gap is particularly evident in agriculture, especially if we look at the oft-cited McKinsey Digital Index, and the immediate focus should be on closing that gap. When we talk about ‘digital agriculture’, we mean the use of digital technologies and data in order to; redefine and improve business process, optimise (and potentially develop new) business models, create the environment for digital business to occur, and to make the business more profitable and sustainable. ‘Precision agriculture’ is probably the best-known manifestation of digitalisation in agriculture. Put simply, precision agriculture, is a modern farm management concept using digital technologies to monitor and optimise agricultural production processes and it applies to all farm sectors. One of the outcomes from the increased adoption of precision agriculture, is an exponential increase in the amount of data generated through farming and up and down the agri-food supply chain, which mirrors the global data growth rate. This new data-supply chain now places farmers in a new context and redefines their role in the supply chain. This has the potential to create transformative agricultural business models, leading to cheaper, safer, and better produce. But it also requires that farmers have the skills to take advantage of these changes. Indeed, experts are continually highlighting the economic and societal potential of precision farming, with the EU Agricultural Commission increasingly referring to how precision agriculture and digitalisation will be a core part of the next Common Agricultural Policy and beyond (European Parliament 2014; 2016). Motivation: understanding why using the internet is relevant and helpful. 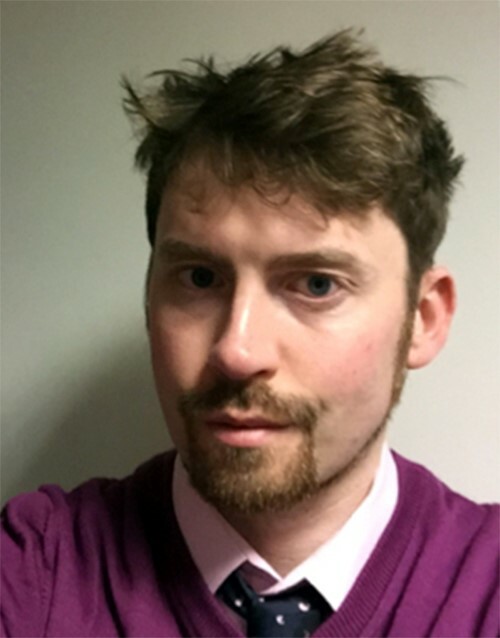 A fully realised end-to-end digital skills programme should be developed in response to these barriers where awareness of the business model benefits (and the risks) attached to the technology are thought alongside how to use these technologies. Given the complex and multifaceted nature of farming, the adoption of digital agriculture requires knowledgeable and skilled farm managers and labourers, as well as a cadre of well-educated consultants, service providers and other extension agents. 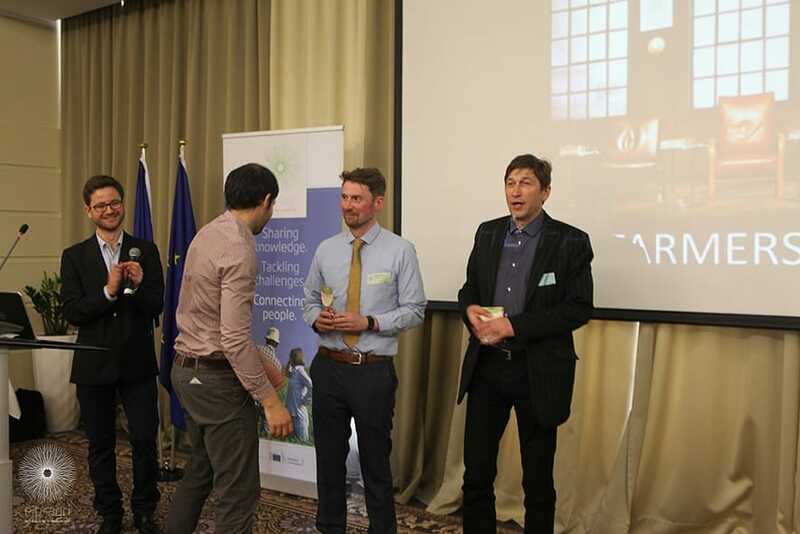 At the recent EIP-AGRI workshop on ‘Enabling Farmers for the Digital Age: the role of AKIS’(see: https://ec.europa.eu/eip/agriculture/sites/agri-eip/files/eip-agri_workshop_agricultural_knowledge_and_innovation_systems_final_report_2018_en.pdf), the focus was very much on how all actors in the agricultural knowledge innovation system can support the understanding and use of digital technologies at farm level. Farmers were identified as being central to the agricultural innovation system and are key actors in many communication, awareness raising and educational activities such as mentoring, on farm demonstration, peer to peer exchanges, on farm testing, community expert groups and networks, etc. In these cases advisers are equally seen as facilitators/trustees and as knowledge providers. Farmers, especially the ones who are already engaged, who have ‘success stories’ and who are front runners are also called upon to be ambassadors and trainers. This is why approaches such as “skills based learning” and “context based learning” should be explored as a means for getting the most out of digital technologies. These approaches advocate learning on the job with the instructor role now morphing into the role of facilitator. This social learning approach is already occurring in the successful discussion and knowledge transfer group model in existence in the EU. Social learning involves learning with and from others, and uses digital tools such as private and public online group discussions portals to complement the face-to-face interactions in the real world. Tailored and targeted programmes are required in the short-to-medium term. 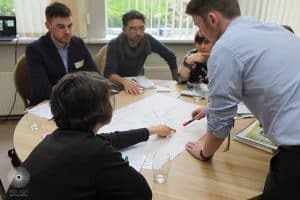 Lowering the adoption hurdles through incentivising new technology uptake through policy instruments and programmes, such as the Rural Development Programme, may give a clearer indication of the true level of digital skills competencies and attitudes to digital technologies across European agriculture. Longer term, models like “lifelong learning’’ that lead to the continual reinforcement and upskilling of general and specialised digital technologies will become central to farm management practices and only fortify the existing culture of continuous improvement already in place on Irish farmers and will be critical for our international competitiveness into the future. European Parliament (2014) “Precision Agriculture: An Opportunity for EU Farmers – Potential Support with the CAP 2014-2020”, DG for Internal Policies, Policy Department B, Structural and Cohesion Policies. European Parliament (2016) “Precision agriculture and the future of farming in Europe.”, Scientific Foresight Study – Science and Technology Options Assessment. Ethan comes from a 5th generation tillage farm and is passionate about connecting agriculture with technology that benefits and supports farmers. He has worked as a developer, designer, product manager, technology consultant and strategist for over 15 years across a range of industries, from large multinationals and the public sector to early stage start-ups. His current focus is driving the innovation and digital agenda for Irish farmers at national and EU level with the Irish Farmers’ Association.